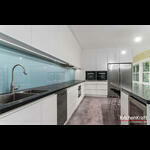 Kitchen renovation in Ryde, Sydney. 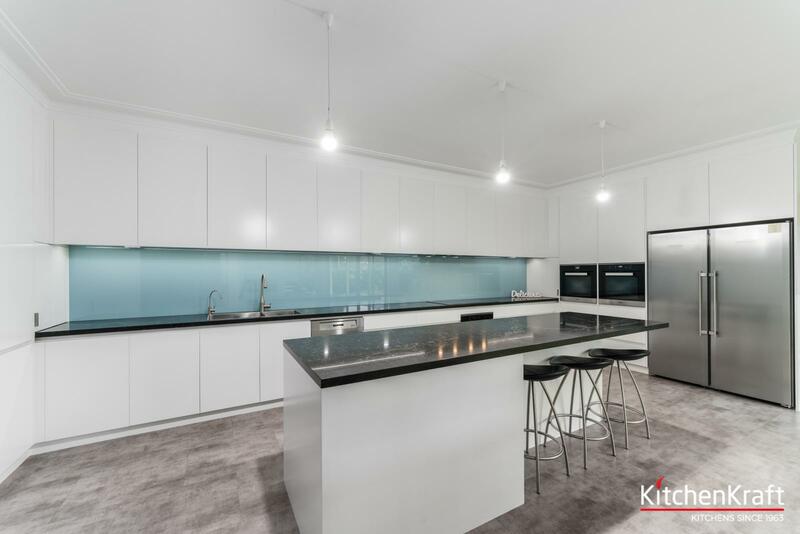 This contemporary designed kitchen is streamlined, elegant and functional. 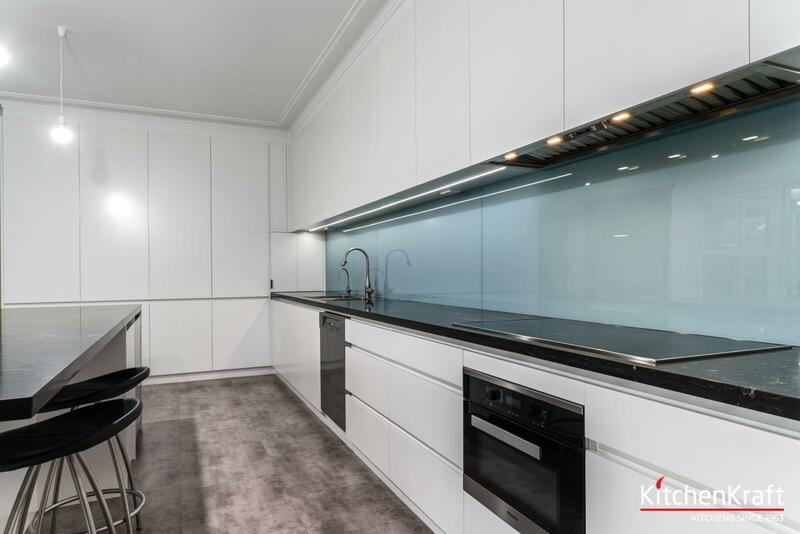 The kitchen has flat-panelled profile doors and drawers in a polyurethane finish. It does not have handles which gives the feeling of extra space to the kitchen area. 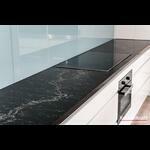 The glass splash back is stylish and easy to clean. 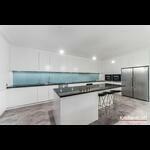 The kitchen is fitted with BLUM internal drawer systems and BLUM hinges. 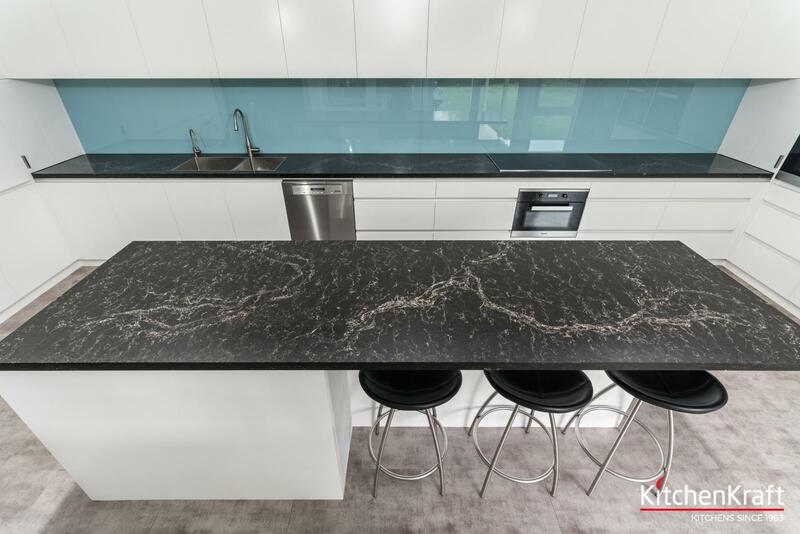 The bench tops are Caesarstone Vanilla Noir in 40mm. 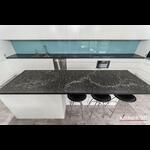 Customers chose a very modern sink made by Franke which goes perfectly with the Caesarstone bench top. 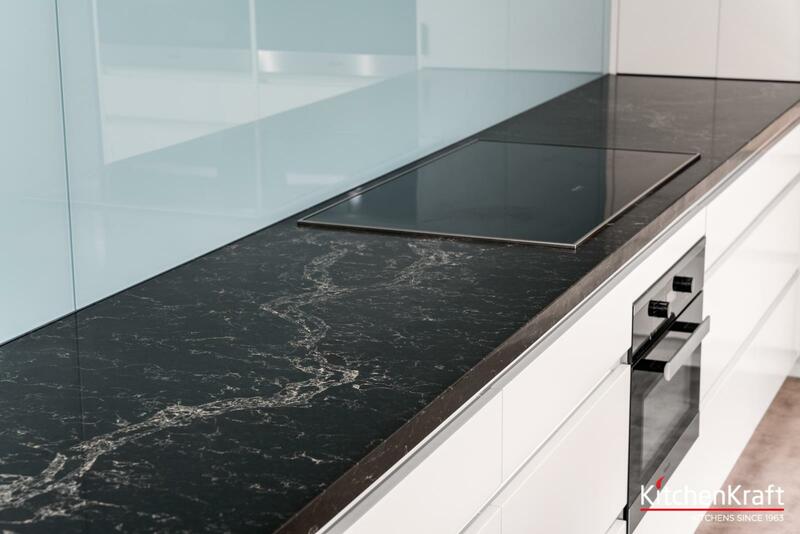 All appliances were thoughtfully chosen with the latest technology in mind. 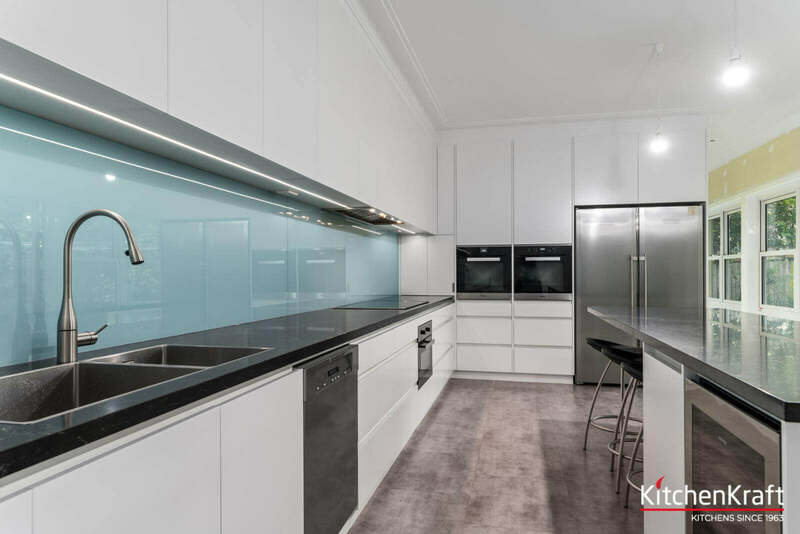 A contemporary designed kitchen was recently done in Ryde, Sydney. 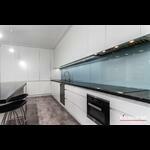 Our team brought a streamlined, elegant and functional design to the overall kitchen space.